What Is A Feminine Hygiene Wash And What Is It Good For? Home Women's Self Care What Is A Feminine Hygiene Wash And What Is It Good For? 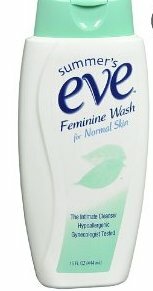 Among the many products that you find advertised for female hygiene is the feminine hygiene wash, which, it is proclaimed that it help protect the vaginal area against irritation and to act as an anti bacterial and anti fungal agent. It is also supposed to make you feel fresh and protect from vaginal odor. Many of these products claim to have the proper pH balance to prevent drying out of the area with appropriate products such as glycerin, wheat germ, aloe, chamomile etc, to soothe and nourish the skin. There are scented and unscented formulations of Feminine hygiene wash available which a woman can choose from. However, it is a perfectly valid question to ask, whether there is any real need for a product like this? Or is it just a clever marketing gimmick to make women buy something superfluous? Well many experts feel that like douching, this is a quite unnecessary product to use. The body’s own naturally present flora and natural alkali balance is very good at keeping fungal and other infections at bay and maintaining the pH balance of the skin. To keep the area clean there is nothing more than soap and water needed unless a woman is specifically medically advised to use it. As for smell unless there is an infection it is unlikely that anyone else is ever able to smell any vaginal odor. Again, normal cleaning is good enough. These may not be actually harmful the way douching can be; but really there is little actual need for using them.